“For the Last Many Months I Have Seen These Sculptures Lying in the Garbage,” Says National Museum Employee. 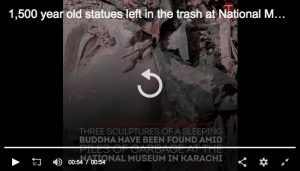 The fate of ancient Buddhist artifacts in Pakistan’s museums once again made headlines after Gandharan period stone statues were discovered in a rubbish pile, visible from the street, at the National Museum in Karachi, Pakistan. 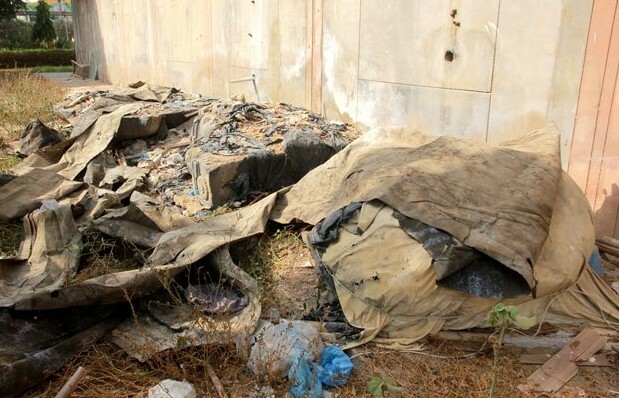 The statues, which are said to be from the 3rd-5th century, have traveled from their original site, somewhere in Northwest Pakistan, to the Awami Colony in Karachi, where they were recovered from a Pakistani smuggling ring in 2012 , and finally to a trash heap at the National Museum. 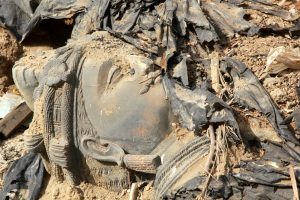 Two of the five statues were used to decorate the doorway of the antiquities director-general’s personal office, the others were tossed into a rubbish heap outside. 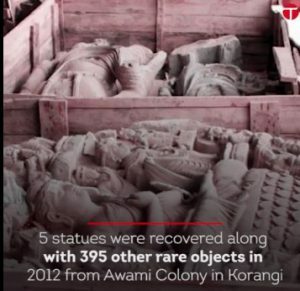 There was no information on what happened to the other 390 “rare objects” recovered in the Awami Colony raid. The five Buddhas, ranging between three and four feet in height, are made of black schist stone. 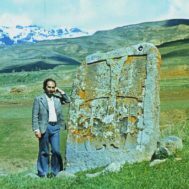 Questioned by Hafeez Tunio in The Express Tribune, the director said, “We have put these sculptures over there ourselves.” He claimed that they were naturally protected from the elements by the black schist stone they were constructed from. However, as CCP stated earlier, the 2016 investigation was too little, far too late. Visiting foreign experts have long held that a good portion of the important Buddhist sculptures in the Peshawar museum had already been replaced by fakes in the 1970s and 1980s. “There were boxes lying on the dusty floor. It looked like as if someone had packed them in haste. 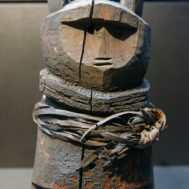 If there were artefacts in the cartons in which products of daily use are normally kept, it’s a terrible mistake because experts believe that the department is in possession of objet d’art and other articles dating back to ancient times. 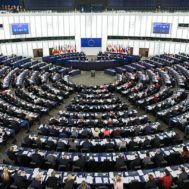 Despite years – even decades – of past promises to reform, Pakistan’s government appears to lack any commitment to preserve and defend its archaeological resources, or to support the work of Pakistani and foreign archeologists in the country.